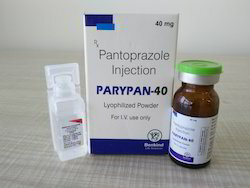 We are a leading Wholesale Trader of pantoprazole injection and alfabeta arteether injection from Panchkula, India. We offering to our clients a wide range of" ALFABEN-2ML". AlfaBeta Arteether injection is highly effective against severe and complicated malaria, ensures rapid control in falciparum malaria.